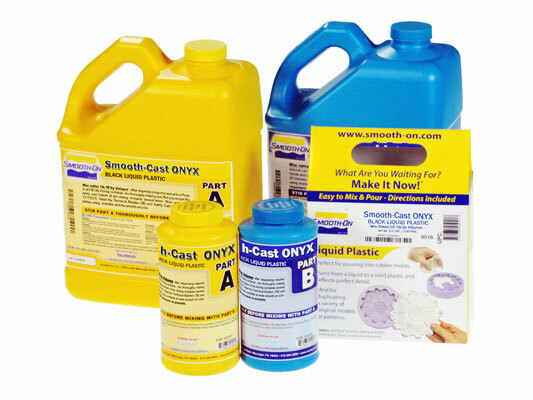 Smooth-Cast® ONYX™ FAST Product Information | Smooth-On, Inc. Specific Volume 27.7 cu. in./lb. Shrinkage 0.010 in. / in. 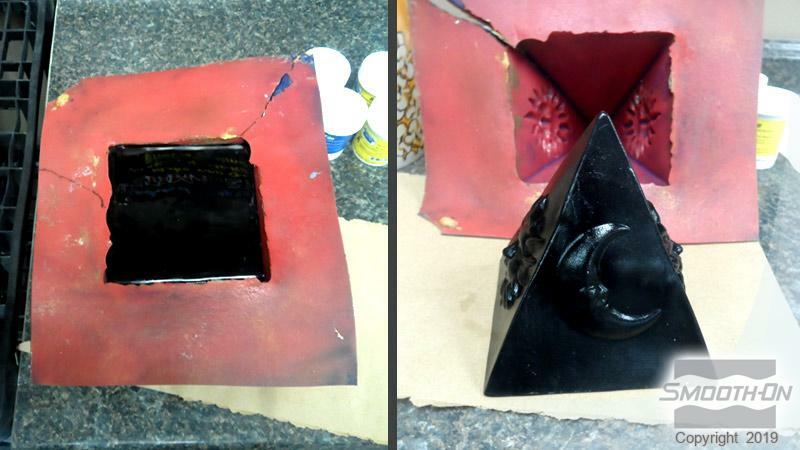 Smooth-Cast® ONYX™ is a mercury-free urethane resin that cures at room temperature to a deep black, solid plastic. ONYX™ resins offer the convenience of a 1A:1B by volume mix ratio and have very low viscosities, so they are easy to mix and pour. 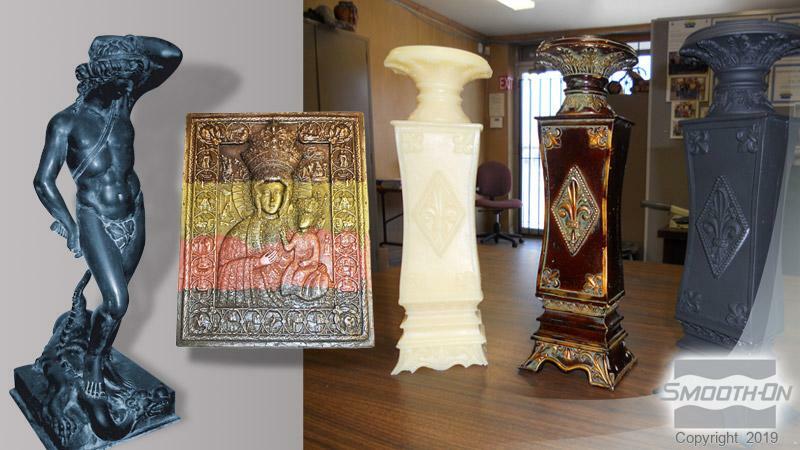 ONYX™ resins have an ultimate Shore hardness of 80D and offer higher physical properties and higher heat resistance vs. other general purpose resins.ONYX™ FAST resin has a pot life of 2.5 minutes and a cure time of 10-15 minutes. 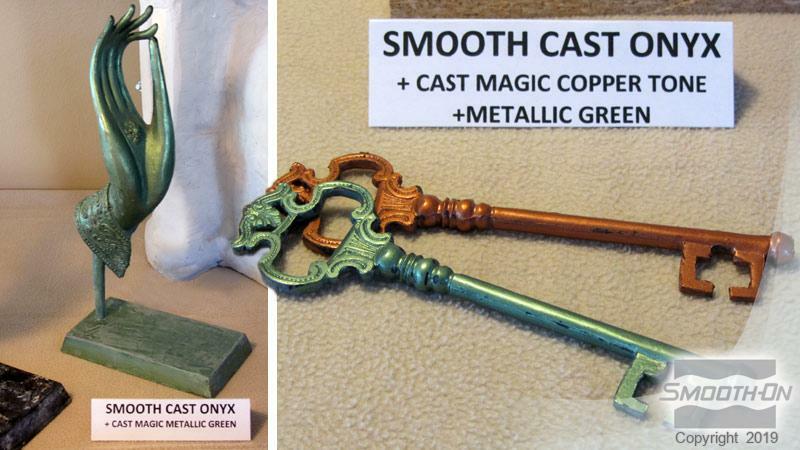 ONYX™ FAST is a good choice for creating fast cold cast bronze, brass, copper, nickel/silver, etc. effects. Mixing - Pre-mix Part-A and Part-B thoroughly before you begin. After pre-mixing both parts, dispense required amounts of Parts A and B into mixing container and mix thoroughly. Stir for at least 60 seconds, making sure that you scrape the sides and bottom of the mixing container several times. Demold time is directly proportional to mass and mold configuration. 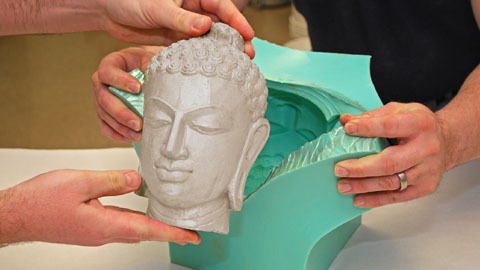 Larger castings will cure quicker than smaller or thin walled castings. Cure can be accelerated by adding SO-Cure® cure accelerator (from Smooth-On) or applying mild heat (150°F/65°C). 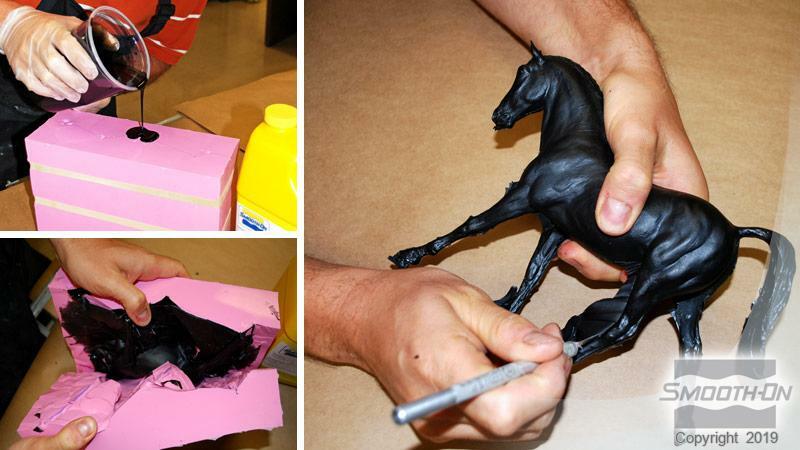 Performance - Cured castings are hard and durable. 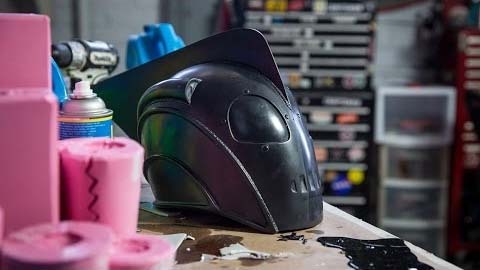 They resist moisture, moderate heat, solvents, dilute acids and can be machined, primed and painted or bonded to other surfaces (any release agent must be removed). If machining castings, wear dust mask or other apparatus to prevent inhalation of residual particles. 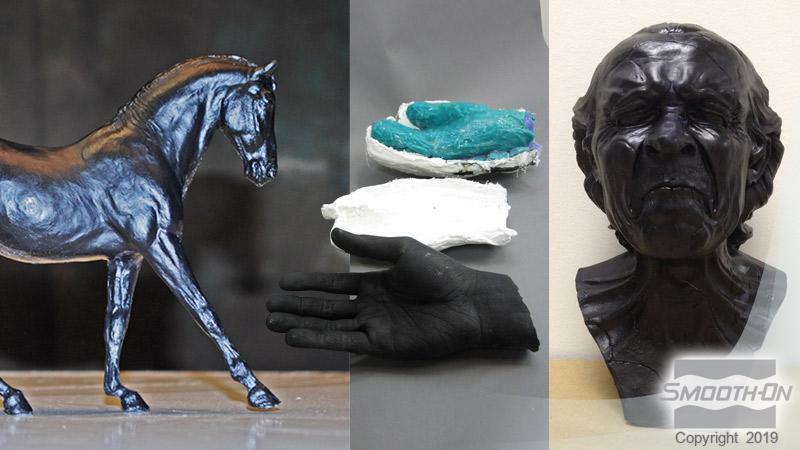 Castings can be displayed outdoors after priming and painting. 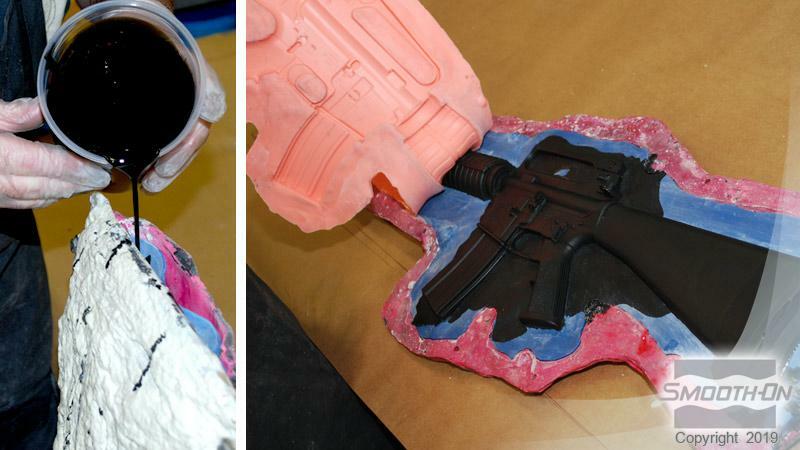 Unpainted castings may be affected by UV light. Because no two applications are the same, a small test application to determine suitability is recommended if performance of this material is in question.